My husband is away this weekend and you know the first thing that I did when he left? Switched the heating on. Bliss, the house is warm and toasty and the towels are dry. I received his text that he had arrived at the airport safely and was eating an almond croissant, just as I returned from an 8 mile run in the rain. OK, so my discomfort was totally self inflicted but I thought that it would set the tone for the weekend - me home alone with three children - painful! Actually it has been quite fun -(nothing to do with the fact that one of them was at a sleepover last night and at a party today for a few hours!) We are really having quite a peaceful end to what has been a really hectic week. I am currently shopping for, and styling models, who will be assisting me at a style evening that I am doing at Edgbaston High School for Girls on 7th October. I have 7 models and we will be covering all sorts of trends and talking about how to style the different body shapes. I quite fancy putting all of the models in a red dress and have them come out to "Lady in Red". How cheesy would that be? I think that I might have to do it, just because, if nothing else, it will make me laugh. I have appointments with two more of the models next week and have a day to buy the things for my "skinted and minted" section plus buying pieces from new brands to show to the audience and pulling together a capsule wardrobe. There are then the remaining models to style, the planning for the order in which I will show the trends, finalising accessories, sorting the music and deciding what I am going to wear. I don't really ever like that bit - largely because I tend to put the models in the best pieces that I find, leaving me the "not so best" pieces to choose from. It's a hard life. I have to say that the girls in the stores in Birmingham have been great to me - particularly the ones who are lending the clothes to me for the models. I know that they will get free advertising from it but it's a great help to me. I suppose the fact that I have known a lot of them since I used to shop with my eldest, over ten years ago, also helps. At that time I didn't really know anyone else with a baby and so I would head into town for a weekly peruse of what was out there. Since many of the girls are now Managers,that time was, as it transpires, wisely spent! The event at Edgbaston High School on 7 October is to be followed by an event at Harvey Nichols in Birmingham in early November. It is a fund raising event and, unfortunately for me HN have insisted that I am only allowed to style the models in clothes and accessories from Harvey Nichols. Such a crying shame! I must say - I can't wait for that one either. I think that I might just be a little bit like a kid in a sweet shop. The bags, the shoes, the...well everything really. I wonder whether they will lend me anything to wear - don't suppose that it would hurt to ask. The Harvey Nichols event will then be followed by an event of my own on 26th November, also to be held in Edgbaston, where again I will be styling models in the trends for A/W '10 but with a greater emphasis on seasonal outfits. I loved the event like that which I did in the summer. It was full of my friends and clients and even my Mum modelled for me - bless her. I think the guests appreciate that I am not all about showing size 6, very tall models, but rather using ladies with curves - and not always necessarily where they would want them! Showing people how to make the best of themselves, disguising a tummy, slimming down their hips and putting them in outfits that they never would have chosen for themselves, only to see their faces light up, is a massive reward. these Also from LK Bennett and costing £150. The chunky heel will look great with the dress, to which I have also added a skinny belt and cropped cardigan. 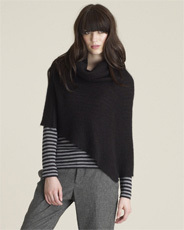 As for knitwear, my favourite piece this week is this asymetric poncho from Jigsaw. It can be worn in lots of different ways, even as a dress believe it or not and it's one of those pieces that is really quirky and difficult to work out how to put on. 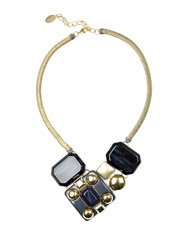 I always love those pieces because it shows that they are not boring. A camel coat from Hobbs, costing £279. I remained resolute that I wasn't going to fall in love with a camel coat and fortunately, the colour of this coat doesn't suit me but I have to say, it is beautiful. It has cashmere in it and is the kind of coat that, when you put it on, you won't want to take it off. They are selling fast so my top tip is, if you think that you might quite like one, order it now whilst there is still 20% off at Hobbs and then if you change your mind well, you've lost nothing. One other thing that I have done whilst my husband is away is to carry on with our Saturday night ritual of opening a bottle of fizz. Being the pathetic drinker that I am, I only managed one glass before giving up. It just didn't feel right a) drinking it from my own glass rather than nicking his and b) drinking it whilst sitting on a child's chair trying to get number 3 to eat her dinner by reading her Peppa Pig stories. So I put it away, bubbles still fizzing and then wondered whether it would, even with our swanky bottle tops, still be fizzy on Monday when he returned. I decided probably not and wondered whether it could be re-fizzed in a soda stream. What do you reckon? There's something about being pregnant which means that your wardrobe falls massively behind and that serious work is needed to get it to catch up. Take my last pregnancy. Our daughter was born in January 2008. So my winter wardrobe 2008 suffered because I was pregnant and then I don't think that I really surfaced again until spring so a huge whole started appearing then. Come winter 2009 I was still feeding her, so that ruled out lots of wardrobe options for me - and the things that I did buy were, shall we say, investment purchases (apart from the very expensive sequinned top from Reiss! ), so not many of them could be made. Well, boots and coats always do a good job of covering up whatever may lie underneath don't they - so I figured that they may as well be good ones. The things that I now look at from before I was pregnant just don't hold the same appeal any more - some are too big, some are dated and some I just don't like, which means that this year, there is one almighty crater in my winter wardrobe. You will, however be pleased to know that I am working fairly hard to fill it. So far so good. So, how did I go about doing this? Well, as I mentioned in my last post, I was shopping for a hen party this weekend and fortunatley some of the guests were the same size as me. Result. I didn't really buy the things with myself in mind, in fact I am quite good at switching off from what I would like when buying for others - or so I thought, but it seems as though quite a few of the purchases that I made in my size might find themselves re-directed to my wardrobe, rather than back to the shops. However, given that I didn't buy them with myself in mind, its not really like going out on a shopping spree for myself now is it? No, I thought not too - so therefore I don't need to feel guilty. So, what might I be keeping? 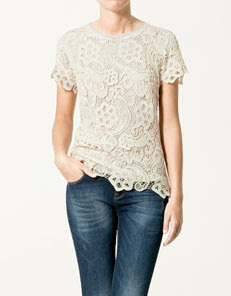 This lace top from Zara is a pretty and not too "full on" take on the lace trend. I will wear it with jeans, as shown, and possibly with smarter trousers but dressed down with a boyfriend cardigan. I am not sure that I will ever do black lace again - largely due to it sharing the same name as that dodgy band who did "Agadoo". No, I just can't go there again. 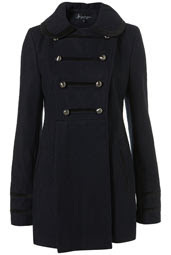 I rather liked the navy M&S pea coat and at £55 I thought that it was really good value. It is a great weight for this time of year - not too heavy but warm enough to fight off the chill in the mornings. The white shirt is from Zara - I liked the fact that it didn't have a collar as I find them irritating, yet it is still fitted and has pretty detailing on it. 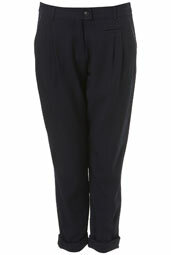 The TopShop trousers at £28, again in navy. are a good alternative to the usual boot leg or wide legged trouser and given their price, when the style eventually fades (if it does; it is holding its own so far) I won't feel hard done by. 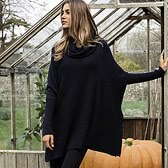 I love the White Company poncho and if it hadn't already sold out in my size, I think that, with the help of a birthday voucher from some lovely relatives, it might have found itself in my wardrobe. I haven't given up yet, you will be pleased to know. Being both black and grey means that they are versatile. They have a slight heel to avoid that "frumpy" feeling that flat shoes can bring without being the sky scraper heels of late. The fact that they are laced up also gives that added "security" when wandering around for hours. 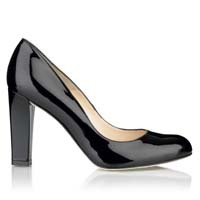 I will wear them with the peg leg trousers, a cropped pair of black trousers and a wide pair of black trousers that I have from Jigsaw (although possibly not all at the same time), which are slightly too long for flats. I will also wear them with black opaque tights, shorter dresses and a cape that I have - for those times when I want to be smart but not too smart. I hadn't really given heeled brogues that much consideration before but I think that I might quite get to like them. Alot. So, as you can see, I am making in roads into my winter wardrobe but I don't think that I am quite finished yet. Oh no, not by a long shot! 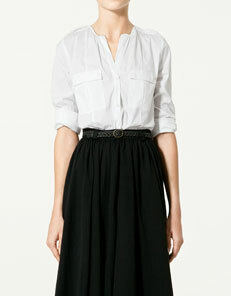 The best bit about my job is that, within reason, I get to buy all of the clothes that I love. The worst bit? Most of them go to other people, so I am left kicking around in my jeans and an ancient pair of sequinned trainers from M&S kids. I decided that now that the children were back at school, it was time that I upped my game. I was also given the perfect opportunity this week as I am doing a style party on Saturday for 18 women, who range from 5 feet 1" to 6 feet in height and from shoe size 3 to 9 - oh, and one is also pregnant. So you see, I had my work cut out for me (hence the need for the sequinned trainers.) Armed with lists of the vital statistics of these ladies, together with their favourite brands, I headed off into Birmingham for a full day of shopping - only to return four hours later with a migraine. Ho hum! Not a great start. Day two however was a whole different ball game. 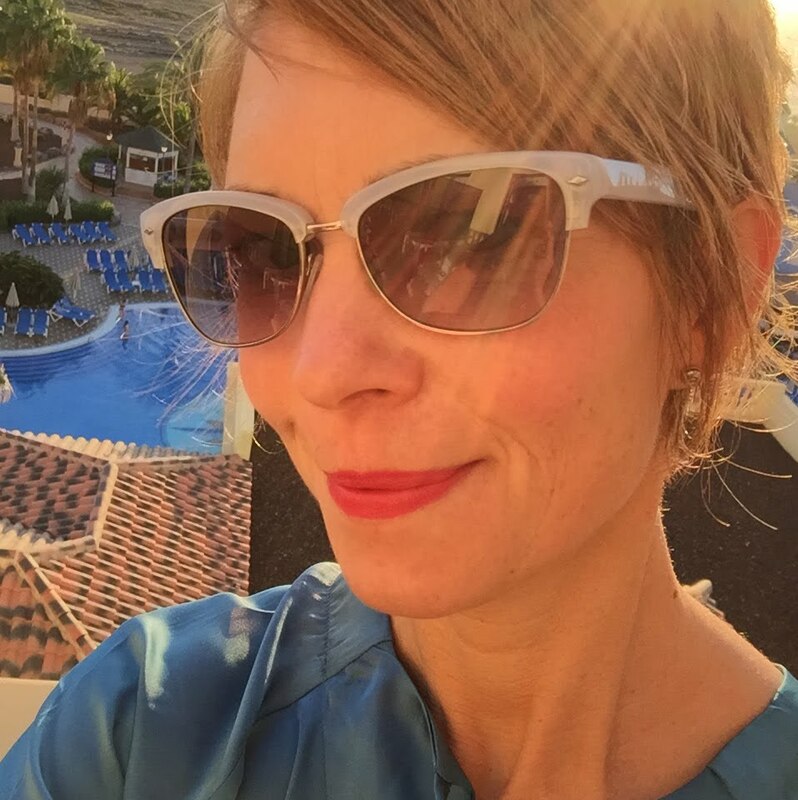 So, what did I feast my fashion eyes on and what did I think of the stores, a whole two months, yes, two months, later than my last shopping expedition? I have to say that Zara was great, in particular, for a camel cape, camel skirt, chunky knits, a lace top, leopard print loafers and desert boots with a wedge heel. In fact, as usual, Zara covered all of the trends and the store was well set out, the hard work being done for you, particularly if you didn't really know what to put with what. The other stores worth a mention are GAP, for their maternity clothes which, whilst basic in colour were at least stylish and interesting and also for their new range of trousers, one style of which comes in three different leg lengths. Their ubiquitous biker boot is now in store and it is priced at a reasonable £65, coming in both black and brown. TopShop was also good for its maternity range and, in particular, its range for tall women. There was a good selection of clothes and coats at good prices; although they could do with a wider selection of jeans because I am not convinced that all tall women want to wear skinny jeans all of the time. New Look came up trumps for my lady with size 9 feet and I personally like the fact that the shoes are displayed and you can instantly see whether they have it in the size that you are after. 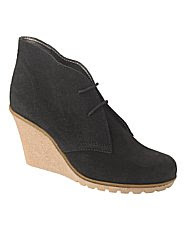 They also have a great selection of boots and I am loving my new desert wedge boot in cream (ish). 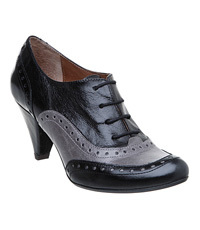 The crepe heel and sole mean that they are incredibly comfortable and they are definitely a change from the converse! Finally, no shopping trip would be complete without a mention of M&S. Whilst not quite what I had expected, they had a good choice of bags and shoes. Oh, and before I forget, Accessorize had a great fake sheepskin satchel style bag in a nice colour, for £35. I have decided that because it's a Friday, and because we are all tired (well, I am at least!) I will describe some of my purchases in pictures. This also means that if there is anything that you like, you can head off to the stores on Saturday to get it. So, in addition to what I have mentioned above this is what I bought (and a lot more besides)! 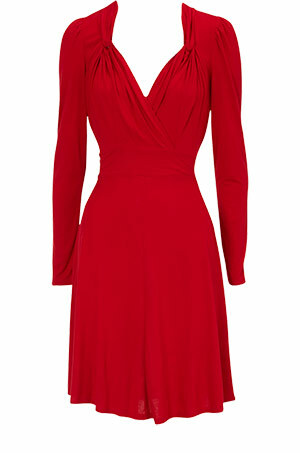 - The red dress below is from Oasis and cost £45, the purple dress is from Coast and cost £85. 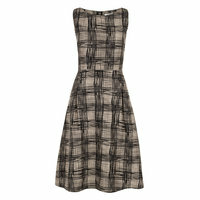 The printed dress is also from Coast and also cost £85 . All of these dresses are easy to wear in that they are a reasonable length and they are either a silky jersey fabric, or cotton. 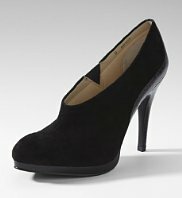 This means that they can be worn for lots of occasions and won't just be confined to your evening wardrobe. I also wanted to avoid too much black so the colours just add a dash of something brighter. So, that is a brief rundown of the shopping that I have done this week. Hopefully the guests at the hen party will be in a mood to whip off their clothes and try everything on, maybe even buying a few pieces for their evening out. I can't wait to get going....I will let you know how I get on. I realised today, as I felt a chill in the air in the early morning, that September really was here. Well, I say early, it was actually 9.50am and we were late for my eldest daughter's hair appointment which was at 10am but as I chucked the pushchair in the back of the car I did think to myself "Oh flip, it's getting cold in the mornings." I didn't think that particular thought in a romantic "Oh isn't it lovely that we can crunch through the leaves in the park soon,"or "Great, we can do the pumpkins for halloween and light the wood burning stove," kind of way. I meant it in an "Oh flip it's getting cold in the mornings and I need to dig out my coats and boots" kind of way. I then realised with sadness that I have to endure a whole autumn, winter and chilly spring before I can once again step outside and not notice the cold. That seems a long time to someone like me, who feels particularly cheated by a lack of proper summer this year. As for those who tell me (which I have also done) that September can be a lovely month, it does it in such annoying way that it takes the pleasure out of it. Freezing in the morning so that I dress for winter, boiling in the afternoon. Being a chilly soul I, better than most, know the art of layering but wearing an outfit to take me from 0 to 20 degrees in a matter of hours and without changing, really is a challenge. With all of that in mind, I decided that I needed to invest in lovely warm cosy camisoles and such like. I remember seeing a film, the name of which escapes me, but which featured Kate Winslet, Jack Black, Cameron Diaz and Jude Law. Anyway, it was shallow (perfect for me) and all that I really remember was Cameron Diaz spending the winter in a lovely country cottage with snow on the ground. 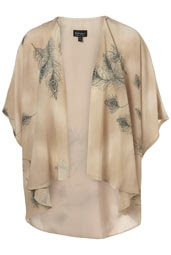 She wore a lovely array of marshmallow coloured cashmere casual wear. Oh, and Kate Winslet getting it together with Jack Black which frankly, seemed unlikely to me, but there you go. Anyway, I liked the thought of the marshmallow coloured cashmere separates but then I decided that her general Californian glow and blonde hair contributed to the success of the overall look, and that if I tried it I would look less marshmallow like and more maggot like - which steered me away from that idea. Instead it will be a trip to M&S to stock up on the thermals, to GAP for the woolly socks and to wherever else promises me that I can wear light diaphanous fabrics in the winter, provided that I wear their undergarments. So, the hunt is on - this year I will crack it - I have to. Well, either that or spend a fortune on the Burberry aviator jacket.